When I was nowt but a lad I read Sir Edwin Durning-Lawrence’s Bacon is Shakespeare (1910) in the school library, which is when I first came across the notion that Shakespeare didn’t write Shakespeare. According to Sir Edwin the plays are full of cryptic clues asserting that Francis Bacon used Will as a mask for writing all those plays. Typical is the nonsense word in Love’s Labour’s Lost, “honorificabilitudinitatibus,” which Durning-Lawrence claimed was an anagram in Latin for hi ludi F. Baconis nati tuiti orbi (“these plays F Bacon’s offspring preserved for the world”). For an impressionable young mind there was much to mull over, but I wasn’t gullible enough to be convinced, and especially not by that coded ‘message’ — how many other phrases or sentences, in Latin or otherwise, can be concocted from that word? Yet the fancy that Shakespeare was too much of a country bumpkin to be capable of writing such gems was one I was to come across again and again, with a bewildering array of candidates paraded for acceptance. Where was the comprehensive and informed rebuttal which would take all the claims seriously while marshalling killer counter-arguments? Well, Contested Will is that book. Not only is this a detailed academic discussion, it’s also lucidly written; it treats the reader as intelligent, without any hint of being talked down to. Though unencumbered by footnotes this fascinating study nevertheless includes a Bibliographical Essay for the relevant references and necessary justifications for the author’s arguments. And not only does Shapiro document the rise and fall (and sometimes further rise) of the two principal claimants (Francis Bacon, Lord Verulam and Edward de Vere, Earl of Oxford) but he also demonstrates how Shakespeare is the only credible person in the frame for writing the Works of Shakespeare. Shapiro found that the fact that Christopher Marlowe and the Earl of Oxford had died in 1593 and 1604 respectively (and therefore were in no position to write Shakespeare’s later plays) was no bar to conspiracy theorists supporting their particular candidates. Many academics are content to label such theorists as from the lunatic fringe; “my interest,” writes the author, “is not what people think … so much as why they think it.” The principal danger, he feels, is that of “reading the past through contemporary eyes,” and, as he reviews the byways into which Shakespearean studies sometimes get diverted, too often we find that is indeed the case. Wouldbe authors today are often told to “write about what you know”, but this was not advice that was given out in earlier centuries when to write about oneself would have been of no interest to anyone else. As the plays portray foreign countries and court life and use legal jargon, for example, the argument soon ran that the Shakespeare who retired to provincial Stratford, lent money and dealt in malt was not the playwright whose work knew no bounds; from there it was a short step to claim Will was merely the illiterate son of a glover. Parallel with the denigration of Shakespeare the man was the influence of so-called Higher Criticism, a term coined by Johann Gottfried Eichhorn to describe an approach using historical methodology to study the origins, date, composition and transmission of the Old Testament. 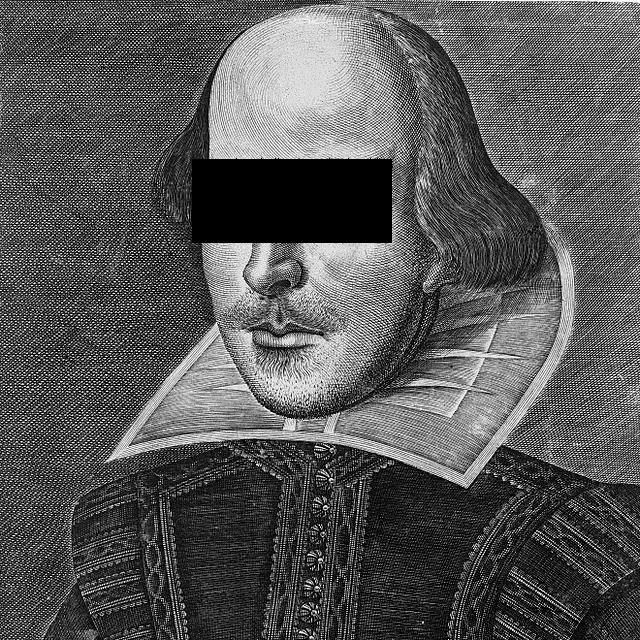 This approach, which questioned received wisdom about sacred texts by critical interrogation, was one which soon found favour with those seeking answers to the Shakespeare ‘problem’. By diverse routes the solution as to who really wrote ‘Shakespeare’ led to Francis Bacon, a path trod first by Delia Bacon (no relation), followed by fellow Americans Mark Twain and Helen Keller and ultimately by cipher hunters such as Ignatius Donnelly, Orville Ward Owen, Elizabeth Wells Gallup and the aforementioned Sir Edwin Durning-Lawrence. Even Henry James, though more circumspect, alluded to the Baconian theory in a popular short story “The Birthplace” in a manner which reflected his own inclinations. Baconian support started to wither away in the twentieth century even as a rival theory reared its head. John Thomas Looney (the last name rhymes with ‘boney’ apparently) was originally attracted by the Church of Humanity (formerly the Positivist School) which T H Huxley characterised as “Catholicism minus Christianity”. When his ambition there was thwarted he turned to the Bard for inspiration. According to his ‘Shakespeare’ Identified he noticed that Shakespeare’s poem Venus and Adonis had similarities to some of the Earl of Oxford’s poetry. From this germ of an idea came the familiar denigration of the glover’s son and the substitution of a titled personage to write sophisticated political allegories masquerading as plays. Looney’s theory proved sufficient to create Oxfordians of talented individuals, from Sigmund Freud (Shapiro details the psychoanalyst’s love of the plays and his cornerstone use of the Hamlet’s character) to contemporary actors such as Derek Jacobi and Mark Rylance. Whether they hold, as some Oxfordians did, that Elizabeth I was a man, or that the queen had affairs with Essex and/or Southampton (and even wilder theories) is not one I’ve pursued — nor intend to. To discover how strongly Shapiro makes the case for Shakespeare as writer of Shakespeare one has to read the author’s own informed arguments in Contested Will. (Good title, by the way.) For me, as for many, the argument revolves precisely on why the author of the plays has to be a noble, or another playwright, instead of a talented, imaginative and literate man from Stratford. After all, these days there is no end of talented, imaginative and literate writers from the provinces who don’t necessarily have a university education or a title to allow them to write entertaining and convincing literature. It’s just that, especially in these days of media exposure and electronic trails, everybody has a documented backstory, so much so that it’s hard to credit that over four centuries ago occasionally certain details were just not forthcoming. As gossip abhors a vacuum such gaps can easily be filled with speculation and memes mutate to beliefs; luckily for us Shapiro rehabilitates the sceptic’s ugly duckling, to restore him as Ben Jonson’s sweet swan of Avon. Illuminating. I had gathered that Marlowe was the strongest contender. Obviously my reading is behind the times, indeed! I have often thought, though, how ridiculous it is to seize upon certain passages as evidence that they were written by another. All writers are influenced – consciously or subconsciously – by other writings, and it even happens often enough that more than one will play almost identically with the same fancy – but completely independently. Synchronicity in action. I know from personal experience. A more recent and more plausible thery is that Florio (very likely acquainted with Shakespeare) edited the First Folio of 1623 (after Will’s death in 1616), subtly editing and ‘improving’ the versions that existed in the previously published quarto editions of the plays produced the Shakespeare’s lifetime. Was Florio therefore Shakespeare? No. Would Shakespeare have minded this posthumous ‘collaboration’? Probably not, given the collaborations that he undertook in his own later career. Thanks for the wealth of further Wiggle-assegai information! I wonder how many people will get that? All those I have so far recounted it to with joy and the appropriate intonation – didn’t! It’s an old joke — perhaps your audience was too young to get it? Which goes with being linguistically impaired, these days. More than that, Sari — many claim that Hamlet or some such other leading character “is” Shakespeare bearing his soul. But on the basis of similar authorial insights into character’s psyches due to personal experiences Shakespeare must also have been a woman, a Jew, a North African or a cross-dresser… Maybe he was all of these at once? I believe the plays were written, not by Shakespeare, but by another poet of the same name. if by some magic a man who had never known it were to compose anew Keats’s Ode on a Grecian Urn, he would be an “author,” and, if he copyrighted it, others might not copy that poem, though they might of course copy Keats’s. Borges reportedly wrote while recovering from a head injury; I don’t know if Judge Hand had an excuse. I must reread Pierre Menard, er, I mean Borges, soon. Thanks for the confirmation! I may have read a review you did, Nikki, which may be why his premise seemed a bit familiar. It’s that critical question, Why? isn’t it. Why challenge something just on the basis of a belief or assertion? What is one’s motive for swimming against the current? Challenging other beliefs is valid, going against tradition may be the right thing to do, but to construct a new paradigm on shaky grounds seems to me to be perverse. I always quite liked the Marlowe theory too (probably because I really like Marlowe’s plays). Fascinating post. I always thought the Marlowe theory fell apart after he died, Cathy — when, as it were, he continued composing after he’d started decomposing — but that didn’t seem to faze some of his latterday fan base! I did an in depth Shakespeare course at Uni and just loved it. Read the Folios and everything! It’s funny, today the kids and I watched a Horrible Histories movie about Shakespeare and I was loving it more than they were! Oh, I think I saw that film advertised in a TV guide for this week — darn, must’ve missed it! This sounds a fascinating book, obviously the whole discussion is far more interesting than I had assumed. My mind boggles about Marlowe. I mean, apart from being dead for so much of the time when he should have been writing the plays, his own work is so different from Shakespeare’s. Perhaps death does that to a writer. It is a fascinating study, and well argued; however, I admit I borrowed it from the local library rather than buy it! You’re absolutely right, Lynn, it’s snobbery of the worst kind. And sadly the news reminds us daily that those with privilege and power, along with their benighted supporters, rarely give a hoot about those they see as beneath them. I’m ashamed that actors of the calibre of Derek Jacobi and Mark Rylance should even give credence to the Oxford hypothesis, let alone promote it. I know, very disappointing such high profile, well regarded actors think that way. And how right you are about those with privilege being uncaring. Every aspiring MP should be made to live in the poorest part of their constituency for six months before putting themselves forward for election. We would undoubtedly have fewer applicants, but perhaps those that still put themselves forward would have a better idea of the reality of other people’s lives. Or perhaps not – what percentage of MPs and CEOs are psychopaths again? This is a really interesting link, as applicable to present circumstances in the UK as it ever was in the US. I look at the present cabinet of self-serving millionaires and can see little if any redeeming features for any of them. True. I thought it was interesting too – scary but interesting. How do we let these people run our lives, time and time again? I suppose the simple answer’s what alternative is there? Often it’s a question of picking the best of a bad lot when we get our five-year chance at democracy at national level.